I do little casual operating these days, however I do enjoy mobile operation with my Icom IC-706MkIIG (#1). I really recommend a Hamstick for mobile HF operation. It’s fun. I operate as N1MU/Rover in the ARRL VHF Contests. Check out microwave roving---It’s a blast. Here is a Grid Square Calculator I wrote in Tcl/Tk. You’ll need Tcl/Tk to run it. Here is a Bearing and Distance Calculator I wrote in Tcl/Tk. Here is RoverLog, a Tcl/Tk contest logging program I am writing for microwave rovers. Check out my Icom IC-2AT museum. I made a Marker Generator circuit to serve as a companion to a harmonic-rich oscillator. Here's a presentation I did at our local science museum on Ham Radio. 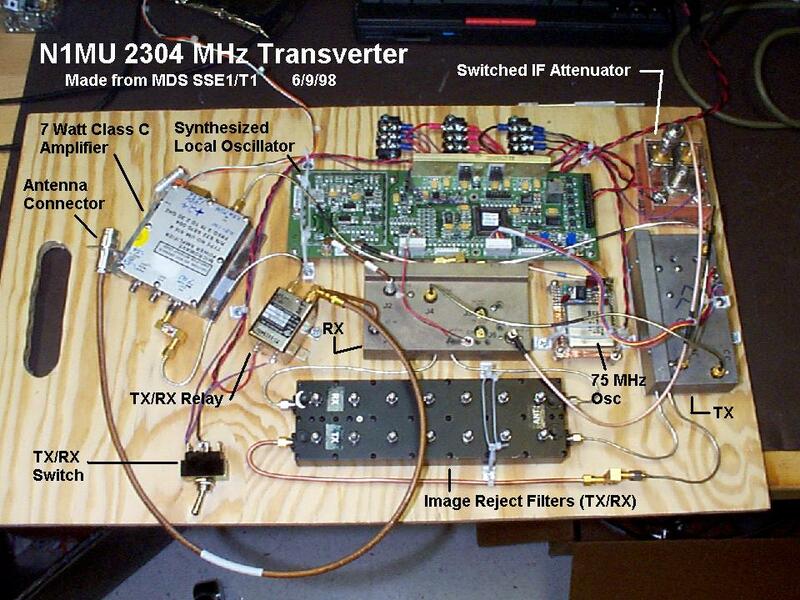 Information about my homebrew 5 GHz transverter. I wrote a chapter on this for Microwave Projects, edited by Andy Barter, G8ATD and published by the Radio Society of Great Britain. 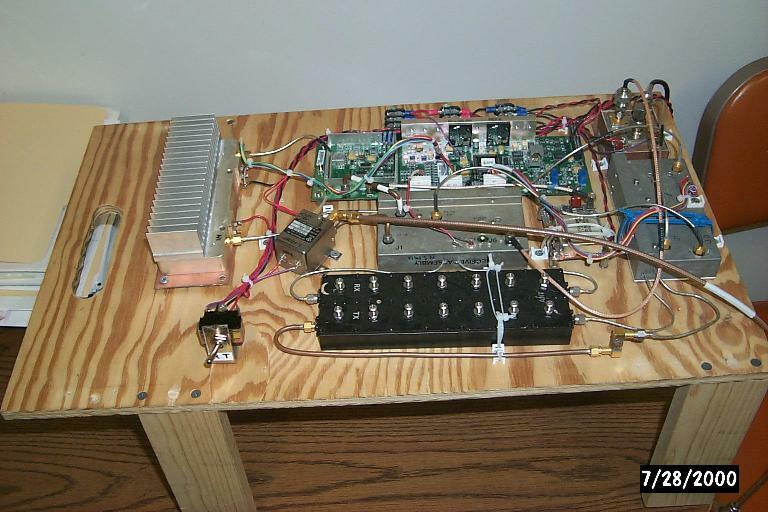 A picture of my 2 GHz transverter. Here is another overall view. Here is a closeup of the keying mod. 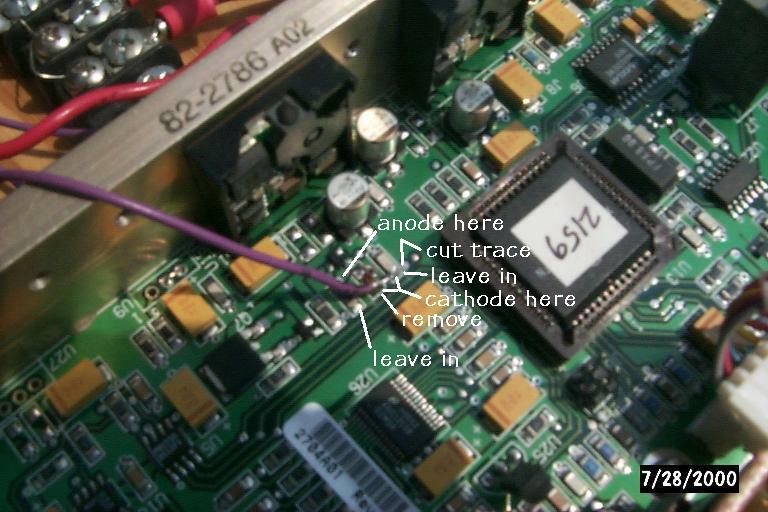 This mod takes a ground-to-transmit line and connects it through a diode to the keying transistor. View the board with the heatsink up. Refer to this schematic snippet and assembly drawing snippet. Normally, the micro controls PTT via pin 29. 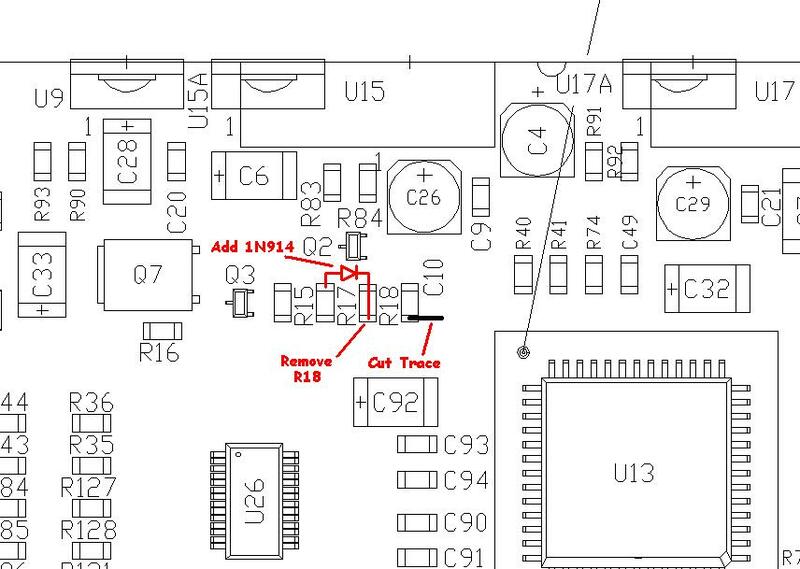 We want to isolate the micro from the TX key circuit by cutting a trace near C10 (see pictures). Check to make sure this path is open once you cut the trace. We want to bypass Q2 with our own diode that we add, so we remove R18 and put a 1N914 or something similar with anode to R17 top and cathode to R18 bottom pad. PTT then goes to R18 bottom pad. C10 provides a little bypass which is nice. With this, the outputs to the transmitter should key properly. Here is a closeup of the PA connection. Instead of +18V, the PA is powered from +24V. The signals for C1 and C2 come from the synthesizer board. Ground is connected to the synthesizer board and the return of the +24V supply. C3 is +24V to transmit only. C4 is open. The American Radio Relay League is the nationwide organization for Amateurs. This is a good starting point if you’re interested in becoming a ham. Here’s a public service announcement from the ARRL. The Mt. Greylock Expeditionary Force assembles on Mt. Greylock in Western Massachusetts for VHF/UHF Contests. I try to communicate with them during contests. The Northern Berkshire Amateur Radio Club (NoBARC) is a great bunch of Hams in Western Massachusetts. I used to be the packet manager for the network of nodes atop Mt. Greylock. It was very rewarding. Northeast Digital Association used to support technical aspects of Packet Radio Networking. AMSAT has an exciting group of satellites in orbit. Downeast Microwave sells VHF, UHF, and Microwave kits. 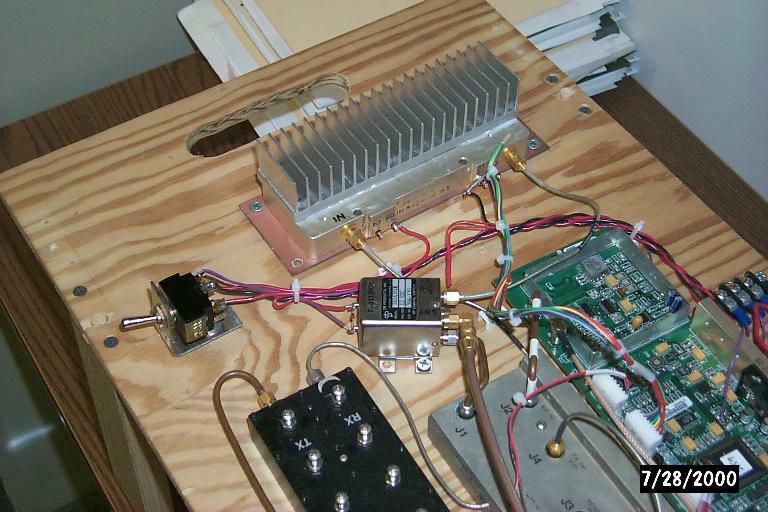 If you are interested in 50 MHz and above, check them out. PacComm sells packet radio equipment. I really like their Tiny-2 Mk-2 TNC. Icom makes great Ham radio gear. Yaesu also makes great Ham radio gear. 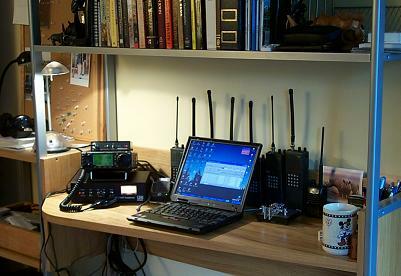 Kenwood also makes great Ham radio gear. Ham Radio Outlet is a good all-purpose Ham dealer. Amateur Electronic Supply is also a good all-purpose Ham dealer. Gigaparts is one I've never dealt with, but they look good. RF Parts is another one that looks good, but I've never tried them. Texas Towers has had phenomenal prices. They are NOT just towers. The FCC provides Forms online. The FCC also has a License Search Tool. You can use the ARRL FCC License Data Search. QRZ provides news, a database, and more..
eHam.net is a clearing house of Ham Radio related information. ArtSci maintains an online repeater database. contesting.com is great site with contest-related information.